My last blog post was a partial list of some of the awful things people, including many perfect strangers, have felt justified in saying to my daughter and/or to me. It got me thinking, maybe people just don’t know what they should be saying to a teenager when they find out *they’re pregnant. I understand that for some people encountering a pregnant or parenting teenager can make them a little bit uncomfortable. Maybe they just want to help out and are searching for just the right thing to say to, so please find a partial list of appropriate things to say to a pregnant teenager who has announced that they are planning to continue their pregnancy or to a teenager who is already parenting. Oh my gosh, that’s wonderful. When are you due? Is there anything you need or can I do anything to help? Oh my gosh, what’s his/her name? (Parent answers.) I love that name! Look at all that hair! And those eyes. What a cutie. I remember when mine where that little. It’s hard and exhausting, but so worth it. They grow up fast. Enjoy every second of this magical time. May I touch her/him? May I hold her/him? He/she looks just like you. What a lucky baby to have a mom like you. 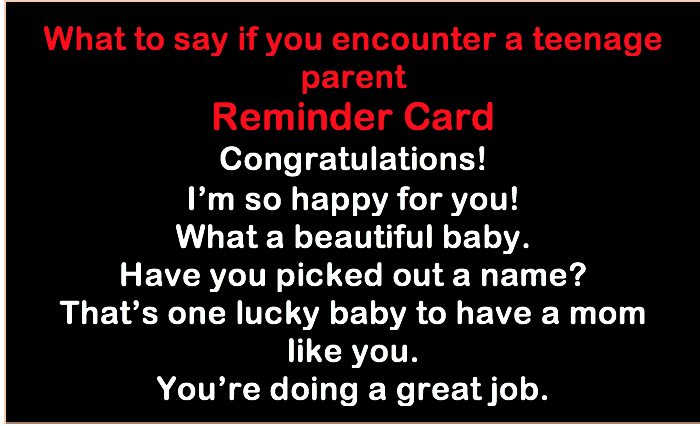 I understand that many adults are not used to saying things like this to teenage parents, so I’ve made a handy little card to be carried in a wallet. If you encounter a pregnant or parenting teenager and feel like you must comment, please refer to this car. 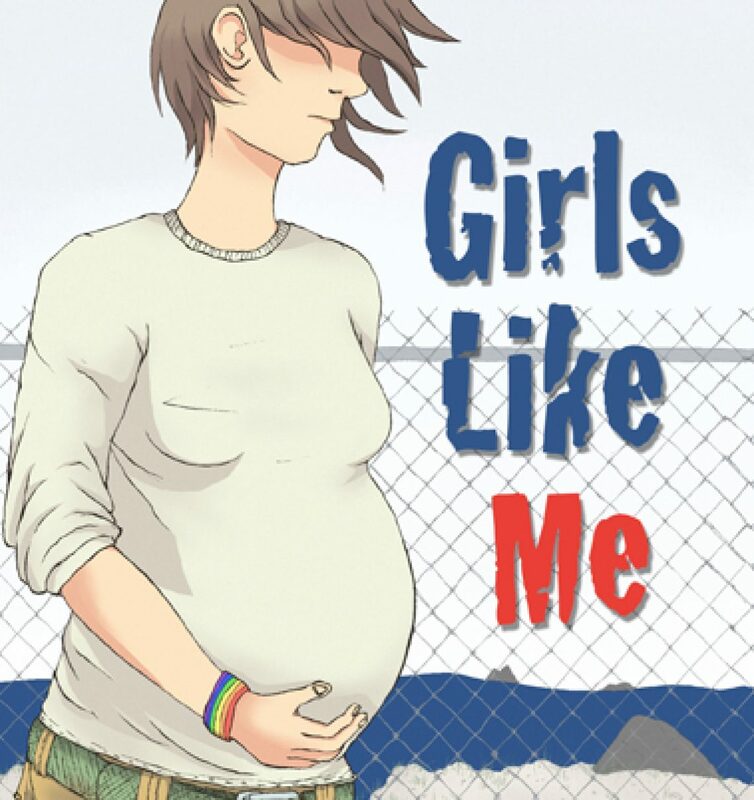 *In the interest of making this site friendlier to pregnant and parenting queer teens who may use different pronouns than she (he/him, they/them) I will be making more of an effort to use the they pronoun when talking in general terms about teen pregnancy. Previous “I’d Throw Her Down the Stairs” and Other Wonderful Things People Say to Teen Parents.